SentrySafe 2G3100 Legal Vertical 2-Drawer Fire Resistant File 31" Deep. The SentrySafe 2G3100 2 Drawer Vertical Fire File is compact and economical, making it the ideal choice for both home and office. Designed with 2 drawers, it holds and protects legal size documents. 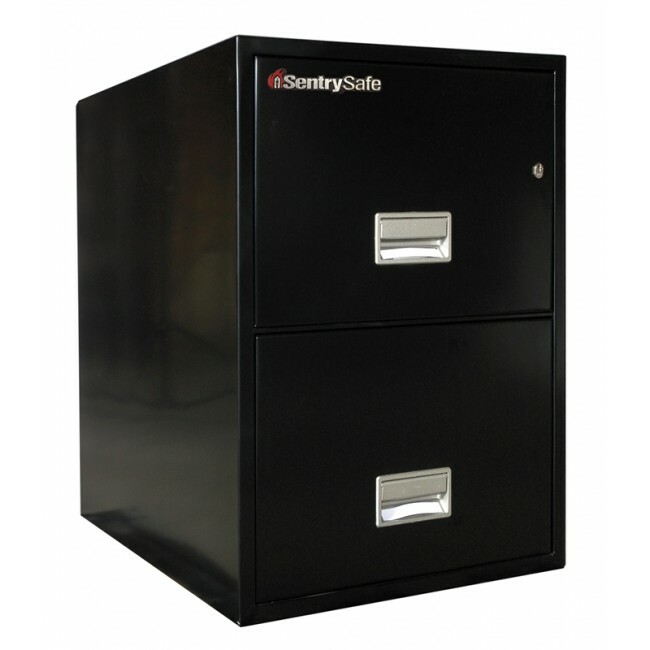 The SentrySafe 2G3100 Vertical Fire File accommodates hanging file folders and each drawer includes a movable divider or follower block for supporting manila folders. It is UL Classified for 1 hour fire endurance. If You Chose Inside Delivery, How Many Stairs Will the Driver Need to Carry Your Product?